Anonymous donor donates building to local nonprofit. An anonymous donor has gifted Literacy Outreach with a new building. 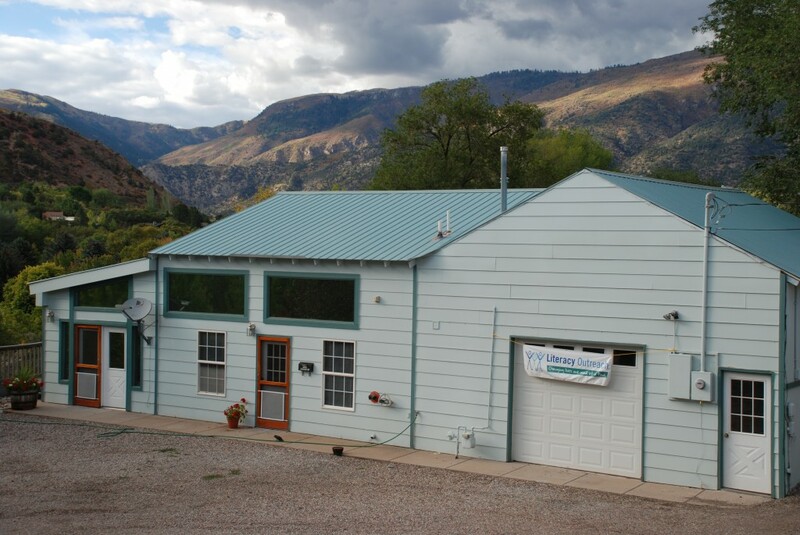 Literacy Outreach will open its new building in downtown Glenwood Springs in March, 2013. When the organization moves to its new building at 1127 School Street, the nonprofit will be able to accommodate all of its tutors, staff, and students for the first time in its 26-year history. According to Fredendall many of the students in the organization’s programs fill construction and service industry jobs, which are essential to growth in our community. Literacy Outreach is the only accredited adult literacy program in Colorado. In a recent accreditation site review, the organization was commended for the mutually beneficial partnership with Garfield County Public Library District, their well-written and comprehensive strategic plan, and Literacy Outreach’s established connections with agencies, businesses, and individuals within the communities it serves. Literacy Outreach was started in 1986 by a group of concerned citizens to meet the needs of people who need one-on-one literacy education and trained tutors to teach them. During the past 25 years, volunteers have provided weekly tutoring to more than 1,400 clients. Literacy Outreach is a grassroots nonprofit organization that helps functionally illiterate adults in Garfield County through individualized instruction. Professionally trained volunteers provide weekly tutoring to adults with reading skills below the fourth-grade level. Services are provided to traditional literacy students, who lack basic reading, writing and math skills and to English Language Learners (ELL). ← Numbers are Important Two!